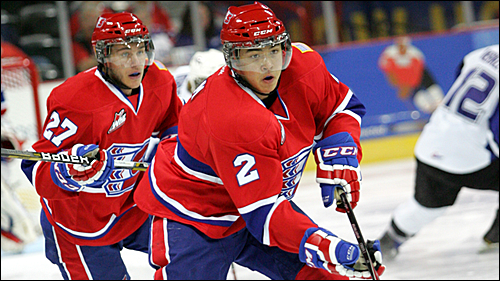 Jason Fram (#2) was named to the WHL Western Conference's Second All-Star Team. On Wednesday, the Western Hockey League announced the 2015-16 First and Second Team All-Stars for the Eastern and Western Conferences. Defenseman Jason Fram was the lone representative of Spokane Chiefs, as the league named him to the Western Conference's Second All-Star Team. The 20-year-old team captain finished the 2015-16 Regular Season with 12 goals and 34 assists for a total of 46 points and a +5 rating. 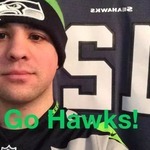 He was the key cog in the Chiefs' power play unit, leading Spokane with 19 PP assists. Fram only played in 55 games this season due to injury, resulting in a down year for him in the assist category, but he set a career high with 12 goals this season. Earlier this March, Fram was named the Chiefs' Player of the Year and the John "Hitman" Hern Defenseman of the Year. In his 5-year career, Fram has earned numerous team awards, Defenseman of the Year in 2014-15 and the Scholastic Player of the Year in 2012-13.